Hand-finished art by PPA Master Artist Craftsman Photographer, Chris Smith, M.Artist, M.Photog.Cr. Watch the video above for a complete description about products and pricing. Pay the remaining balance(returning clients can elect to pay $299) for your Experience Collection anytime up to the date of your appointment. 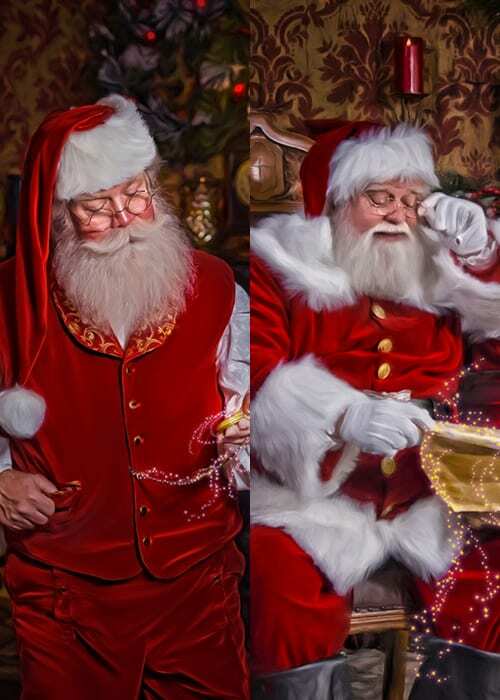 The Storybook Santa Experience is a private, one-hour, interactive experience with Santa Claus. 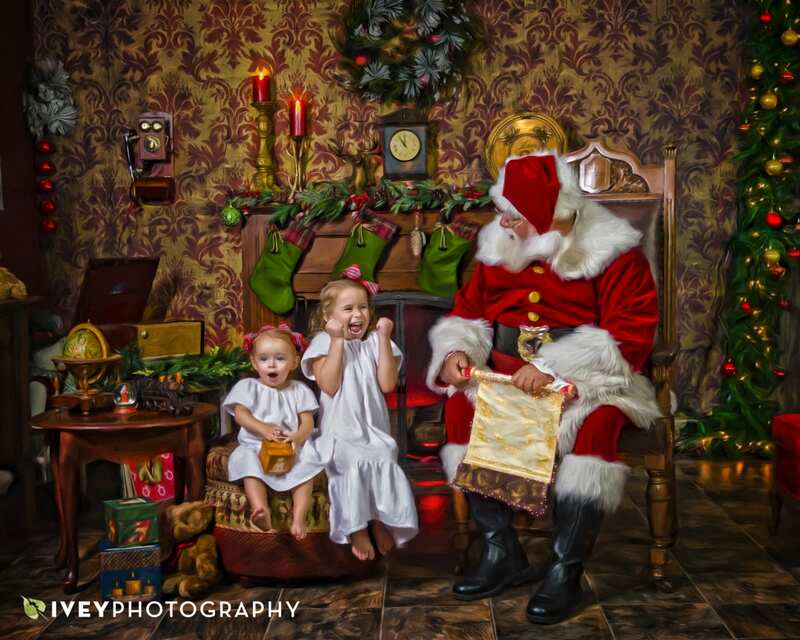 Your child will meet Santa in a warm, inviting setting, with all of the personal touches of The North Pole. With every great experience comes a keepsake to remember it by. After your experience, you'll be able to choose from a wide range of heirloom quality items to keep in your home or give as a gift. Choose from wall art, storybook albums and creative gifts. Santa is a Christmas icon. 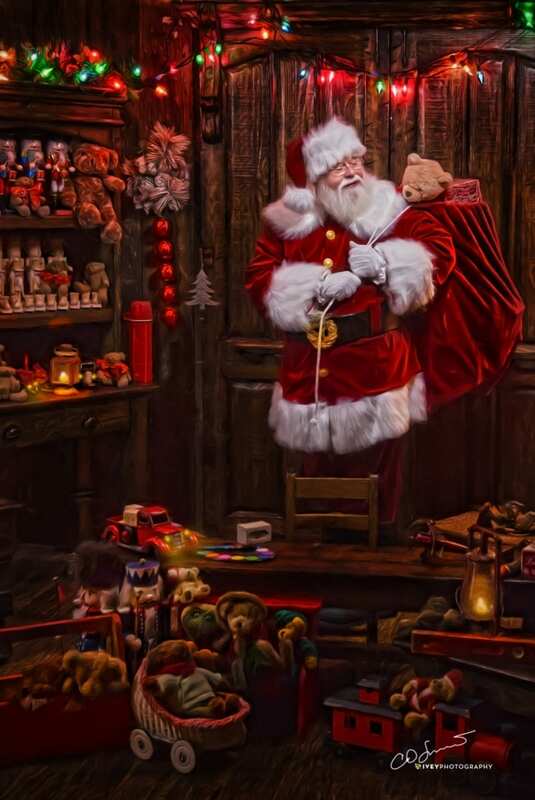 We've selected the most genuine professional Santa's to provide you with the most authentic experience money can buy. Your child WILL believe in Santa, and you will, too.